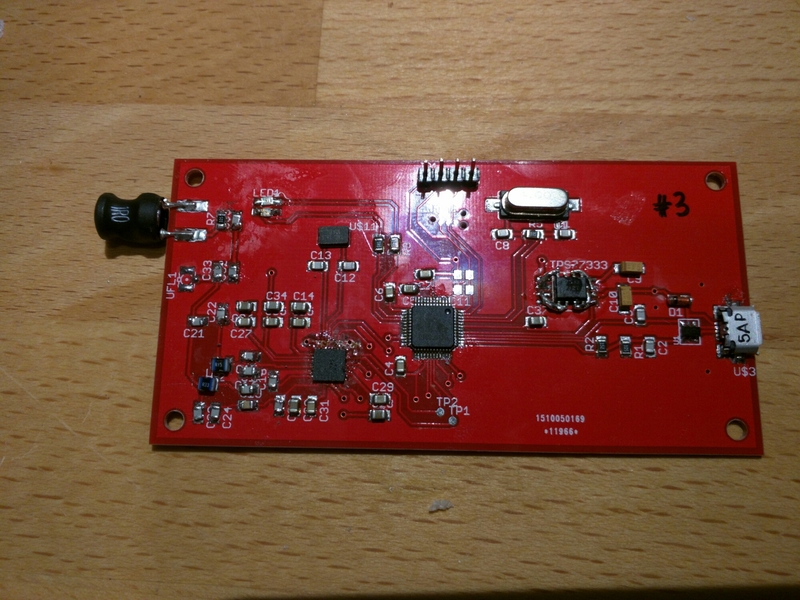 NFC Login version 1.0 is working fine, but I always intended to ditch the development boards and create a custom PCB with just what’s needed. As always it’s finding the time to do these things. I had an attempt at a home etched one, but it didn’t go quite right. Then I was busy with the new workshop so it got put on hold. 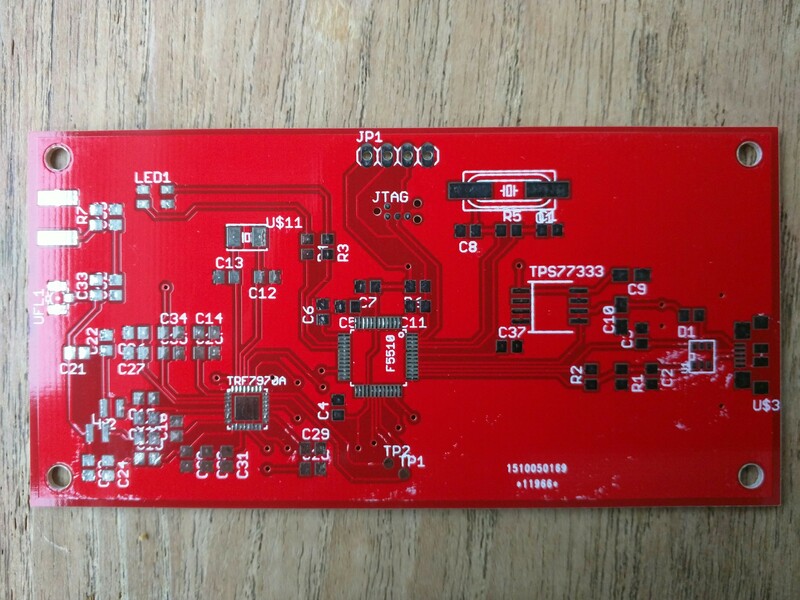 Eventually I decided that the 2 week wait for a PCB from China was actually quicker than finding time for the few hours it (in theory) took me to etch a board. As it seemed very likely that there would need to be a further iteration, I decided that the cheapest option of using DirtyPCBs would be fine. I must say I’m fairly impressed with the quality. The only minor issue I had was that they seemed to use the tNames rather than the tSilk layer for the silkscreen. As likely to be my fault as their, I’m sure. Anyway, this was the result. Not bad for $25 including shipping for 10. That’ll give me scope for ruining a few too! I started just adding a few components – just the minimal the USB and MSP430 parts – expecting that I’d find a problem. All good. Even the tiny TagConnect header worked fine. The only snag I can across was an incorrectly sized footprint for the TPS77333 regulator. This was annoying as it came from the TI library included in the latest version of Eagle. An earlier version the library which I used for the laser coolant monitor was fine. Annoying. Somehow it also seemed to struggle with the supply voltage when flashing an LED, which made debugging flaky, so I bodged a 77533 (higher power, different pinout) sideways across the board. It works. It’ll be updated in the next revision. All seemed OK, so I added the NFC side of things. Things here were more problematic. 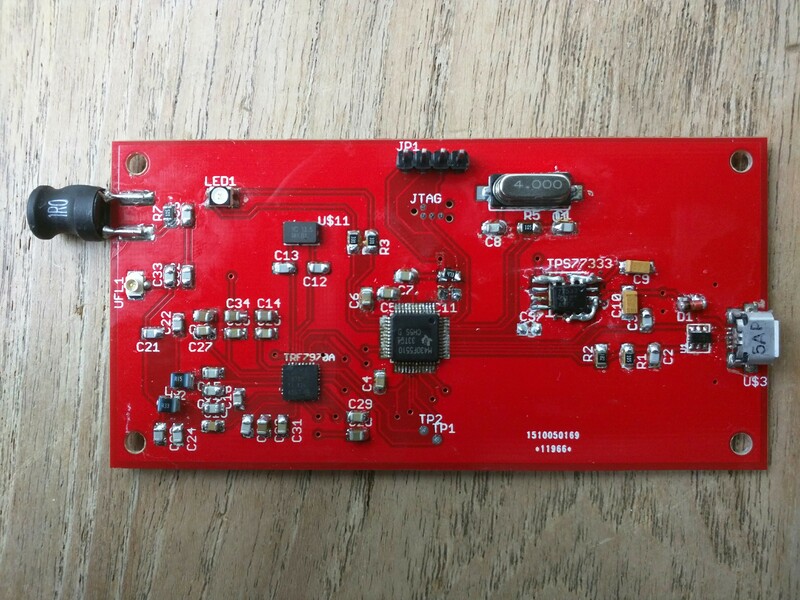 Currently it seems that communication (SPI) between the microcontroller and the TRF7970A are OK. What I can’t seem to get in any output at all from the NFC chip into the RF circuitry. The 13.56MHz crystal seems to be working fine. This could take me a while. I had a few goes at removing and reattaching the TRF7970. 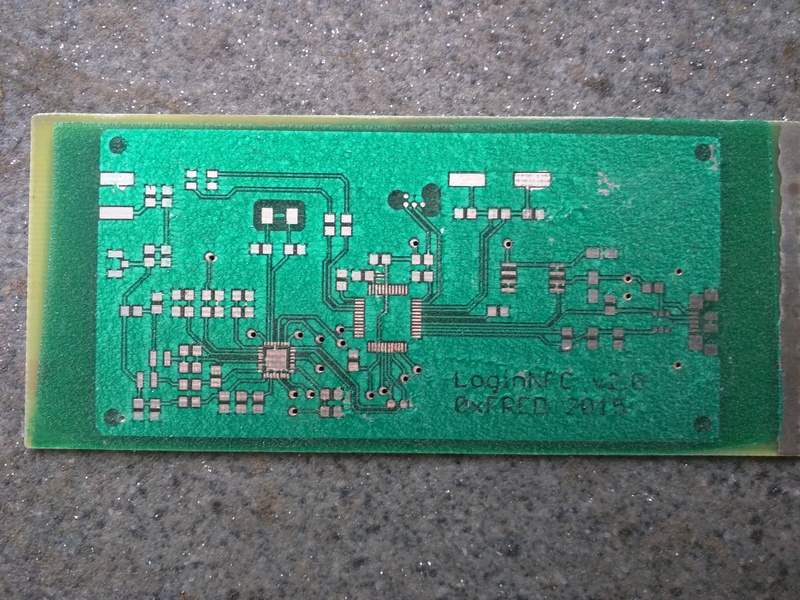 Lots of practice reworking those tiny 0.4mm pitch QFN and LQFP packages, but there’s a chance I’ve damaged it. Maybe I need to populate another one to check.